In a medium saucepan, mix oatmeal and water/milk together. I always keep almond milk in the house so I mixed that with water to cook down the oats. Turn heat on medium and cover with a lid. After about 5-10 minutes the oatmeal will be quite frothy. Give it a stir and taste test to see if the consistency is right for you. When your oatmeal is the consistency you like, add a splash of cream as your fat content. You could also use coconut oil to make it vegan. Add a pinch of salt and honey. Separate the oatmeal into two bowls. Add your jam to one and peanut butter to the other. Stir well and taste again. If you need to, add more honey/peanut butter/jam until the flavor is right for you. 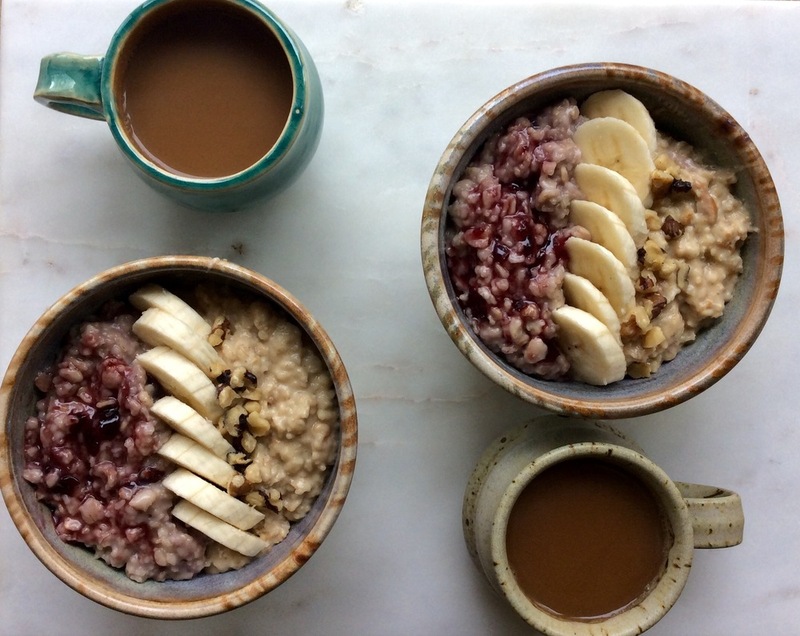 Serve each kind of oatmeal in a bowl. (And the easier version, mix peanut butter to the oats and add the jam on top when you're ready to eat!) 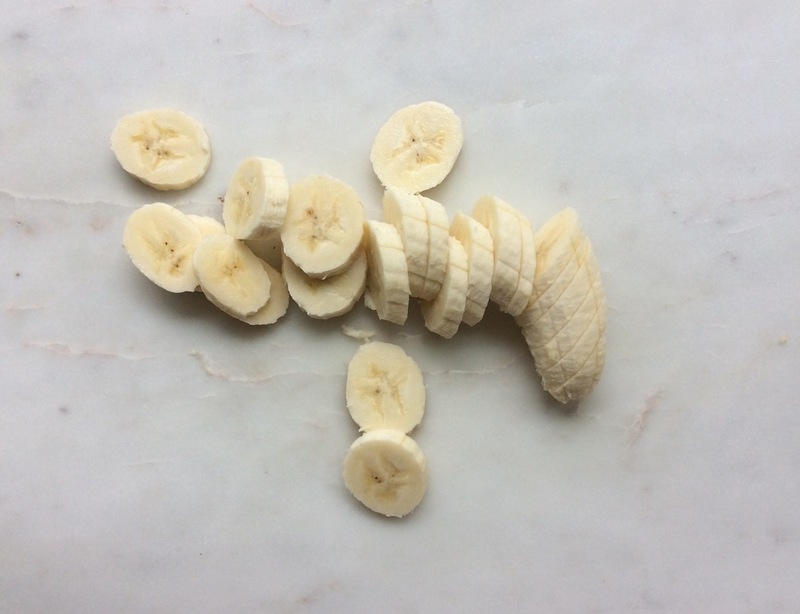 Top with banana and walnuts if you like and enjoy!